phone, longing to close my eyes all the time. I tried to manage everything from the sofa, with Oscar wailing and complaining 'want' on repeat. He's been out of sorts lately and is right here now biting my laptop! Now I am slowly recovering, trying small things every day. Here are some things that have given me a little lift. 1. I'd read so many good things about the Clarins Self Tanning milky lotion, I've always wanted to try! It's pretty pricey, around £20 but works so well. Many self tanners share a 'biscuity' fragrance but I hardly noticed that with this one, it's light, non sticky and smells so nice. The first time I used it I wasn't expecting it to be so dark as it's a white lotion, put it on before bed and woke up golden orange haha, I applied it a bit too liberally. 3. 'Stash' by Sarah Jessica Parker* I tried 'Stash Unspoken' back in December and it has become such a 'go to' fragrance for me, not a day goes by where I don't spritz it! I was eager to try Stash too, but it is so so different. Where 'Unspoken' is delicate, light and floral, 'Stash' makes a statement in edgy notes of cedar wood and black pepper, earthy, incense-like. For me it's a completely 'out there' fragrance, the perfume equivalent of some crazy amazing yet outrageous fashion garment found in some dusty, ancient shop. It's such a bold fragrance and I love that it's gender neutral! It's very powerful, you can smell this on clothing for days. 4, 5 and 6. 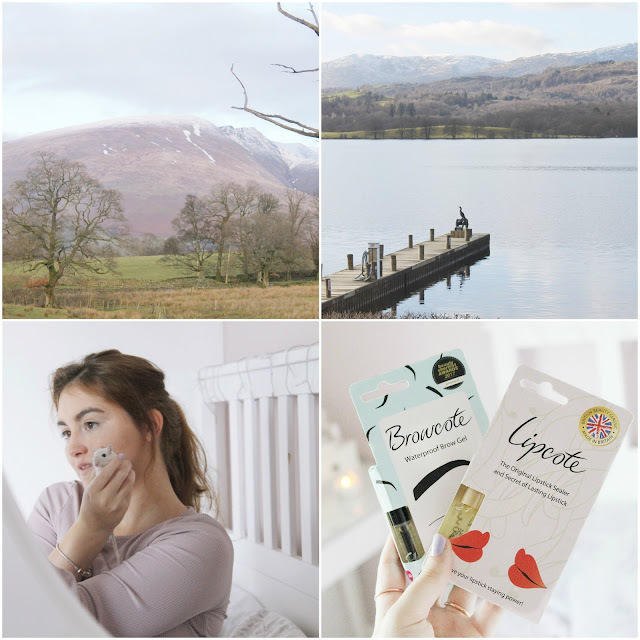 Snaps from up the Lakes when we went for a little day out as the snow had melted a lot. I'm always nervous of the icy roads! The air was so clean and fresh, it makes me so happy to see the huge fells on the horizon growing bigger and closer until they arch right over us, even if they didn't have much snow on them. 8. I have just started trying out these Browcote and Lipcote lip and brow gels* to keep my makeup in place. They seem so handy and are the perfect size for popping in your handbag, I need to use them every day and report back to you! Being poorly, I haven't had the chance to apply makeup for a while. I'm glad you feeling better! The lake looks so beautiful. You live in such a pretty place! Very jealous. Great post dear, lovely and interesting photos. I'm you're feeling better. Nice reviews.. 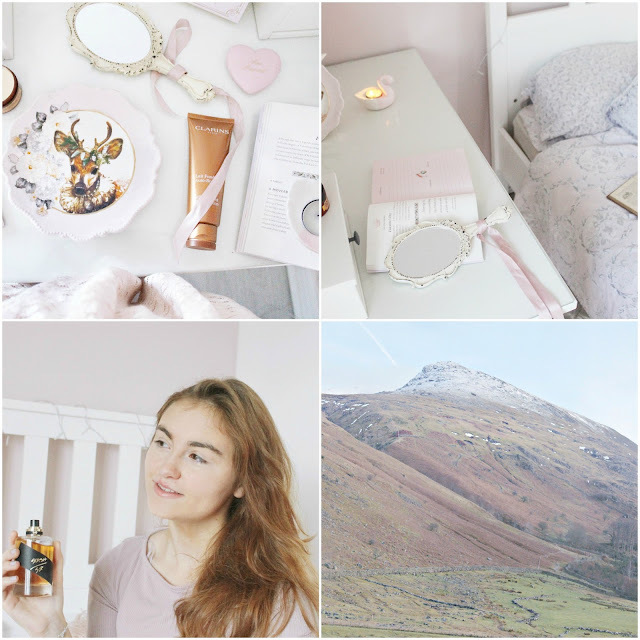 I always love being on your blog because it's just so soft and pink! Photo diaries are some of my favourites to read. I didn't know they were a thing until I saw them on Catherine's blog (lovecatherine.co.uk) who I also really like! I just stumbled across your blog and love the colors, the layout, the drawings... so cute !